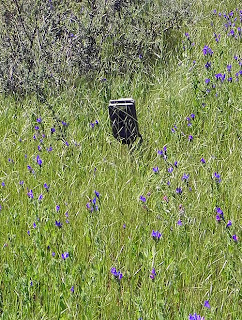 When I went to check on the Cuddeback two weeks ago I wasn't expecting much (I knew the batteries would be flat). The bad news was that the camera died even sooner than I expected. I only got three images from it. 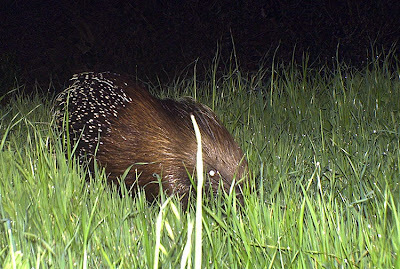 The best (and last) photograph was of this Porcupine. ﻿I moved the camera from this location, but I picked a terrible new location. While walking back to the car I thought of moving the camera, but I didn't have the time or energy left to go move it again. So this week when I checked it there were, as I expected, no images and I moved it to a new spot. All in all things where a bit hectic around here the last month or so, but hopefully things will settle back to normal soon and I'll get some more camera trap pictures to share with everybody. Last week while on my way to the quarry I found another traveler on the path. 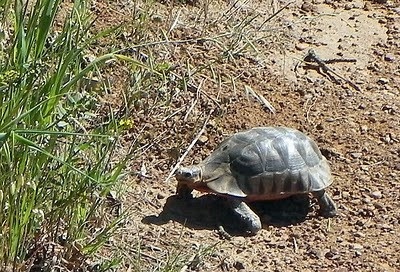 The weather is warming up and the tortoises are full of energy. 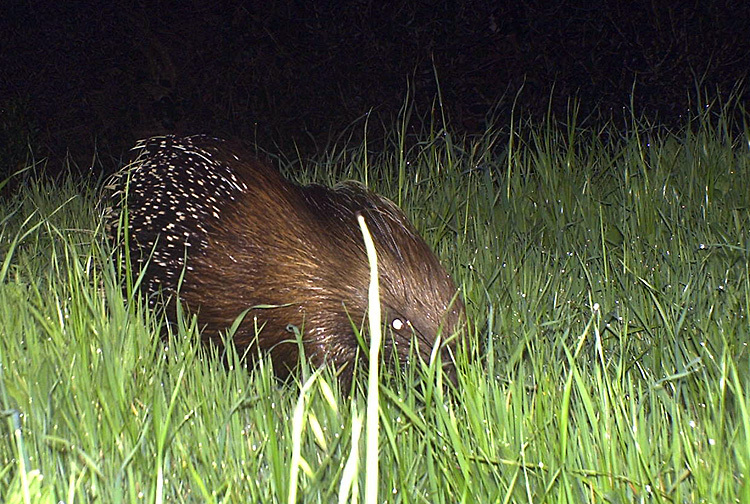 This one didn't pay much attention to me and gorged itself on the grass. 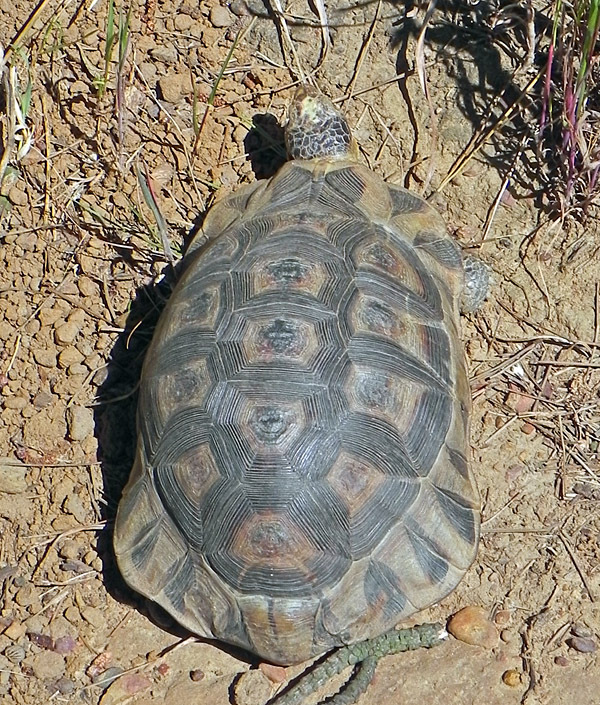 The Leopard Tortoise is in fact not native to this part of South Africa (they occur a bit more north and east), but a few individuals where released here at Tygerberg Nature Reserve years ago. The strange thing is that I have only noticed large individuals, so maybe if they do breed here the young don't survive well - or maybe I just don't see them as easily as the big ones. This week I ran into another tortoise species, an Angulate Tortoise, not far from where the above Leopard Tortoise was found. 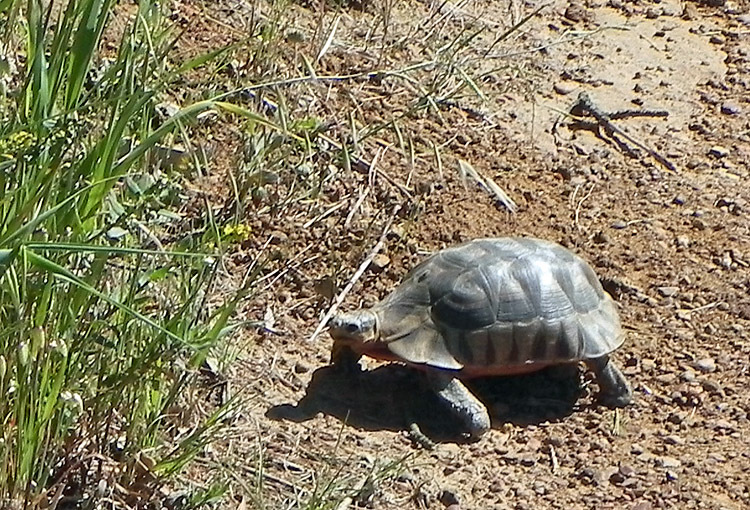 The Angulate Tortoise is common in the Fynbos biome and occur here naturally. 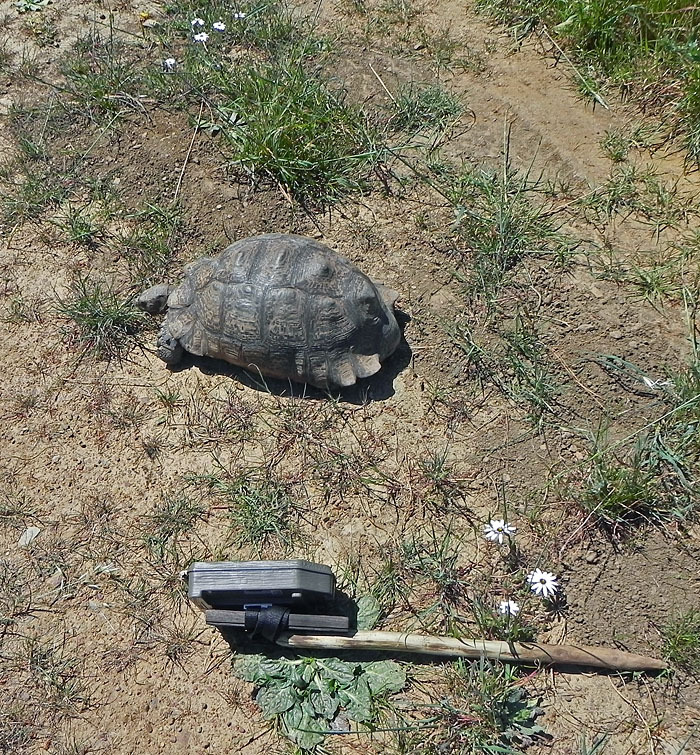 These tortoises are smaller than the Leopard Tortoise. Interestingly they only lay one egg at a time, up to 6 times per year. Sexual maturity is reached at 9-12 years of age and they can live up to 32 years in captivity. Bill Branch (2008). Tortoises Terrapins & Turtles of Africa. Cape Town: Struik Publishers. 36-38,66-69. All camera trappers have to sing the blues now and then, and this time it was your turn. But that's a pretty nice portrait of the porky, and the tortoise encounters are an auspicious event. I predict you will have some nice surprises to show us soon. The young of Florida's gopher tortoise (Gopherus polyphemus) often seek out and hide/live at the edges of grassy wetlands or under thick wild grape vine mats. Being quite different from the usual xeric habitats of the adults, juvies are often overlooked. 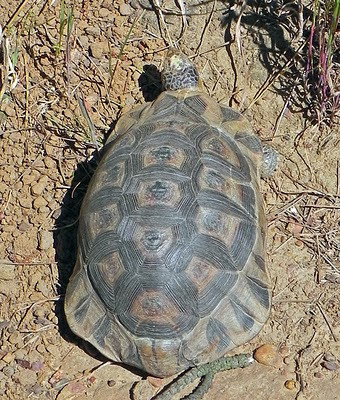 I know nothing about leopard tortoises, but perhaps they have a different habitat than the adults? Buford, that sounds very interesting. I'll keep that in mind and look/ask around a bit. Thanks for the info.